The sun, symbolizing a bright new start, is depicted by the stars of the European Union’s flag, representing the member states involved in the project. 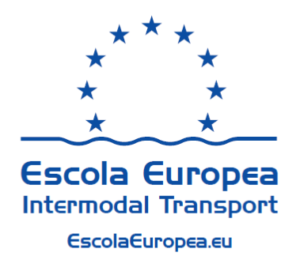 Two surfaces on either side sides of the sea stand for the ports, their infrastructures and operators, linked by liner services.It is a School, “Escola” in Catalan, which is the language of Catalonia, where the school was born and set up. It is a European school, and was set up with that vocation in mind. 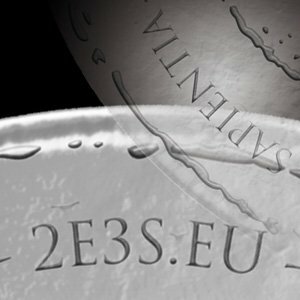 It uses the symbols and values of the European Union. 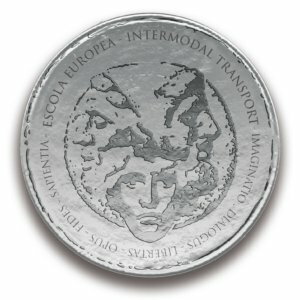 It is a school of intermodal transport, initially christened the School of Short Sea Shipping, and re-branded in 2018 to the School of Intermodal Transport. The name is given in English, as this is the lingua franca of the institution. The name incorporates the Internet address, because it was set up at a time in which networks reflected new ways of understanding society and businesses. Imaginatio: Creativity, understood as the ambition to seek new ways to do the things that enrich their accomplishment. 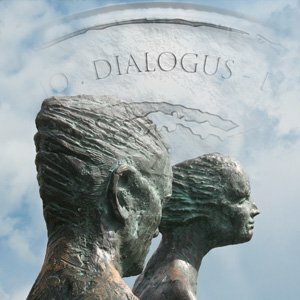 Dialogus: Dialogue between the participants, allowing them to find ways of working together to improve society and the way of life of people who live in it. 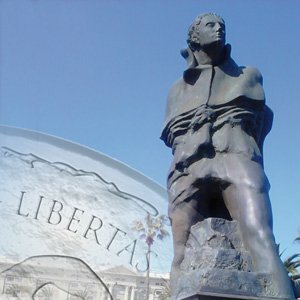 Libertas: Self-determination, the foundation underlying the freedom to decide and to build our future and express our ideas without restrictions. 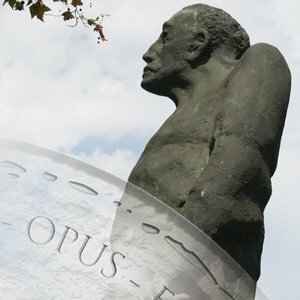 Opus: Work, necessary to push our project forward. Fides: A commitment to nature and society to develop a form of logistics that is both environment- and people-friendly. Sapientia: Knowledge, which we must convey to our students through a process of ongoing learning. Music is one of the elements representing the spirit underlying the school. 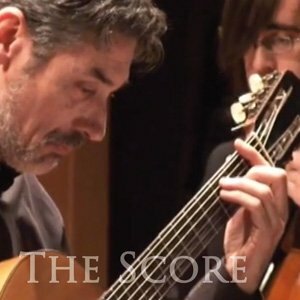 This piece, composed by Eduard Rodés, is entitled “A walk around the port” and represents a route from the beginning of the Moll de Fusta wharf in the Port of Barcelona to the school in the Moll de Barcelona wharf. The walk symbolises the journey that we must make to attain our goals, and the sculptures on the way correspond to the values with which the school identifies itself and which it tries to cultivate and defend. It´s a sculpture by the American pop artist Roy Lichtenstein and lies at the crossing of the visual axis of Via Layetana and the Moll de la Fusta. It is also visible from the Coastal Ring Road. Cap de Barcelona (Barcelona Head) is one of a series of small-scale heads entitled “brushstrokes”, made by the artist in his mature phase. These heads are represented by enormous brushstrokes and dots that result in an over-sized dot-matrix print. While the features of the woman’s face are painted with great strokes, the background is covered with chromatic dots that evoke the mechanical reproduction of comics. The ceramic coating is a tribute to Gaudí. On the Moll de la Fusta, the sculptural work entitled Parella(Couple), by the artist Lautaro Diaz Silva, evokes two lovers sitting by the side of the boulevard, contemplating the waters of the port. The distance from the seat to the head is 144 cm and that from the knees to the feet is 100 cm, making it possible to contemplate the piece from a distance. Two slender bronze characters coloured with a greenish patina are the eternal lovers who watch the passers-by. to lay the timber on the dock. The monument to Ròmul Bosch i Alsina is by the artist Robert Krier. Once again he asked his brother Leon to design the basalt base. This sculptural piece, installed in 1992, pays tribute to one of the promoters of the conversion and extension of the Port. Bosch i Alsina was a doctor, member of parliament, senator and mayor of Barcelona, and was president of the Works Council of the Port from 1900 to 1904 and from 1906 to his death in 1923. The former Moll de la Muralla is today called Moll de Bosch i Alsina, and is named in his honour. 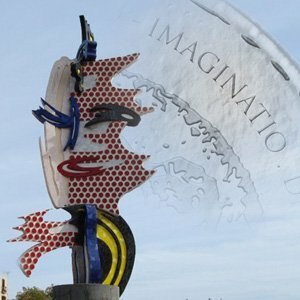 This sculpture is a symbolic link between the sea and the people of Barcelona, represented by this illustrious figure. At the entrance to the Port of Barcelona, between Atarazanas square and the World Trade Centre complex stands Ones (Waves) from the Valencian artist Andreu Alfaro. 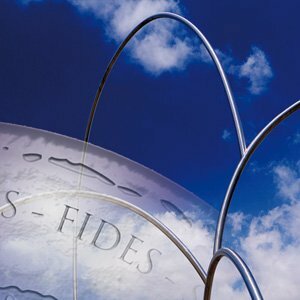 It is a tubular stainless steel sculpture formed by seven arcs, whose undulating forms evoke the waves of the sea. The successive superimposed pieces rising over the avenues and the central boulevard leading to the Port of Barcelona represent one of the most unusual public attractions of the city.